and next you can find story about us and what the game is about. We are two indie developers, that seven years ago started talking about writing a game. We both work in IT business, in big IT corporations. In the past at the beginning of our carriers we were developers, but now we manage software development teams and organizations. All our IT experience was focused on server-side programming for transactional systems. We liked our jobs, but one can imagine, that working for big IT corporation can be sometime stressful. That’s why we wanted to have something on side that will help us forget about it and let us focus on something fun after work, which is coding a game. 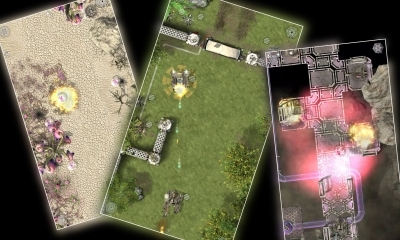 Our game, Desperate Defense is a classical top-view 2D shooter. 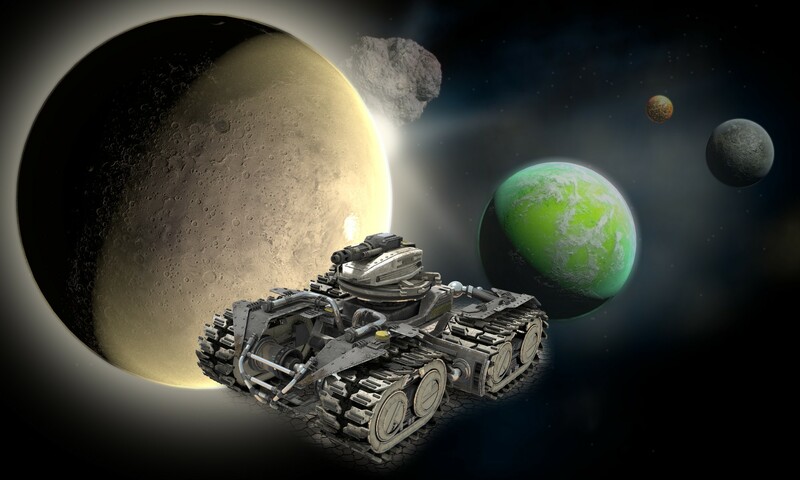 Player controls a combat rover called AVARC-1 sent to defeat enemies as they plan to invade the Earth. You can play on three different planets (levels): Ochre, Indigo and Malachite, each containing twenty missions. Different planets have different look and feel, as well as unique enemy units. Player has at his disposal multiple secondary tactical weapons and power-ups. It is possible to upgradeweapons and defense equipment. 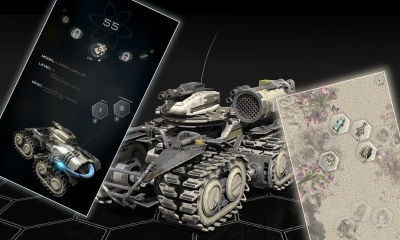 Destroyed enemy units drop atoms that can be picked up and used later in an Armory for purchase and upgrade. Game is free to play, but player will be able to buy additional atoms chests and remove adds. It took us six years to finish the game mainly because we both have children, which were small when we started and because – as I mentioned – we had full time jobs. That is why we could spend very little time on our side project. Sometimes it was a few hours during a week, sometimes even less. Sometimes we could spend Saturday or Sunday on our project, but not always as we had families and they were calling out. No matter though how long it took us, we are extremely happy that we managed to finish it and release the game on Google Play. As a teenagers when we first saw and used ZX Spectrum computer, we dreamed about writing games. Creating this game was like getting our childhood dream come true.